What happened to United's "Celtic" form at Tannadice yesterday? Though the Black and Whites were two down half-time home fans were still confident that their team, with the wind behind them, would come out, fighting and get the better the Sons of the Rock. Instead the United machine continued misfire, and the longer the game went on the better the grip Dumbarton took. It just wasn't United's day, as was clearly demonstrated in the first half when their luck was dead out. Right from the kick-off United made lightning raid and, before a Dumbarton player had touched the ball, M'Kay almost scored with shot that did well save. Claim for Goal The Dumbarton goal had many more narrow escapes in this half, including a claim for goal when a Cruickshank shot hit the underside of the bar and seemed to rebound into the goal before being kicked clear by defender. But United never settled to a game. The wing-halves failed to subdue the Dumbarton forwards, and, as a result, the home defence was always struggling. Too often passes went astray, and the close game the homesters favoured didn't pay against the first-time quick-tackling tactics employed by the Sons. Dumbarton, never brilliant, kept swinging the ball about, and made ground with long clearances to the wings. The Scoring Dumbarton opened the scoring in seven minutes when McLean cut in from the left wing take a pass from Stirling. The home defence seemed think he oft-side, and he carried on 6' ve chance with rising shot- Second goal, 22 minutes, was all against run Grant, the Sons' left-half, carried upfield without being tackled, and his parting shot seemed to be well covered by Edmiston. The keeper allowed the ball slip under his body into the net. United's goal—best the four —came five minutes from the interval, Quinn and Dickson worked the ball nicely up the right wing, and the ex-Celtic man slipped it through to McKay, In a crowd of players, the home centre brought the ball down, turned, and sent a fast rising shot past Paton into the net. Final Blow Just before the half-time whistle, another defensive blunder resulted in third goal for the Sons. Ogilvie passed back to Ross, but, with no one near, the centre-half mistimed his kick. Stirling was the bail like a and beat the out-running with a low shot. The second half was one long disappointment for the home supporters. 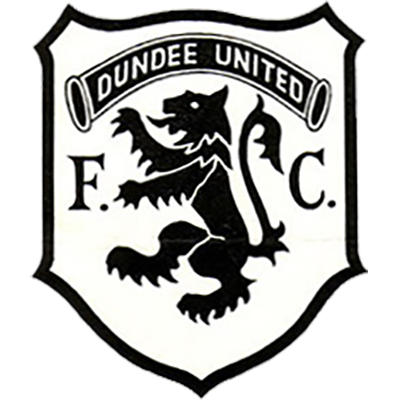 Twice Quinn had chances but shot over, and McKay and Cruickshank also had some near things- The Dumbarton defence gained confidence as time went on, and the only incident that made the supporters smile was when a hard clearance knocked a policeman's helmet off. Paton, Donaldson. Hepburn, and Donegan were the keymen Dumbarton's victory.